Trigger finger is a common tendon problem that occurs when the tendons of a finger are caught as the finger bends and straightens causing the digit to snap open, or even get stuck bent into the palm of the hand. Trigger finger is very common with about two percent to three percent of population having a trigger finger, and even more common in diabetic patients. While many people can find relief with non-surgical treatments for trigger finger, some will choose to have surgery to find a solution to their condition. Trigger finger is caused when the tendon becomes stuck as it passes through a pulley in the palm of the hand. Tendons pull your fingers into a fist when your forearm muscles contract. The tendon is held against the bones of the fingers by multiple pulleys. These pulleys keep the tendons against the bone, but one particular pulley (called the A1 pulley) can thicken and cause the tendon to become stuck. There are two main options to consider when thinking of having trigger finger surgery: open surgical release and percutaneous release. 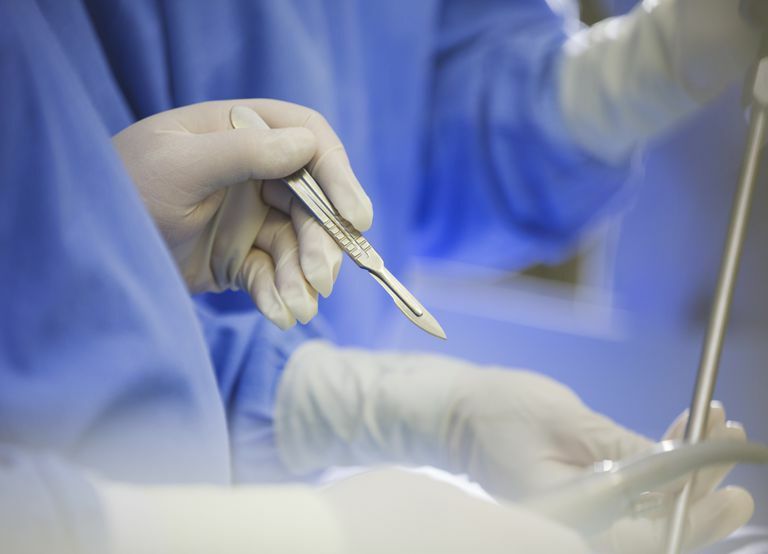 The standard surgical treatment for a trigger finger is called an open surgical release. During this surgery a small (one centimeter) incision is made over the palm of the hand where the tendon is getting stuck. There are several options for anesthesia, but most surgeons prefer local anesthetic. The advantage of using a local anesthetic is the patient can bend their finger once the release has been performed to ensure the problem is solved. There are some atypical causes of trigger finger than may not be sufficiently treated with a traditional release, and knowing this at the time of surgery allows your surgeon to adequately address the problem. After an open surgical release, a suture or two, or sometimes skin glue, is used to close the incision. Most surgeons encourage immediate motion of the fingers, but limited pressure on the incision (so no heavy lifting). The triggering should be immediately resolved. Many patients have some discomfort around the incision, and often at the PIP joint (the second knuckle joint). In addition, some patients note stiffness of the finger that can take weeks or longer to fully resolve. Complications of a trigger finger release are uncommon, but can occur. As mentioned, there are unusual causes of a trigger finger that, if unrecognized and untreated, can lead to persistent triggering. Infection is another possible complication that can require treatment including the possible need for further surgery. The other possible complication is called bowstringing of the tendons. This occurs when the tendon pulls away from the bone after the pulley is released. A percutaneous release is a less-invasive surgical procedure where a minimal incision is made and the pulley is release without directly looking at the pulley and tendon. There are a number of different techniques surgeons have used to release the pulley including special blades, needles, and other instruments to release the pulley without looking directly at it. These procedures have been shown to be effective and allow for a faster recovery. Questions have been raised about safety, although some early clinical studies have shown this to be as safe as open surgery. There have also been questions about possible effects of inadvertent injury to the tendons and nerves. Both options seem to be effective treatment options for a trigger finger. The "gold standard" is still the traditional open surgery, but more surgeons are learning techniques to make the procedure less invasive. Even with open surgery, recovery is typically fast; the advantages of percutaneous surgery are small and the risks may be slightly higher. Probably the most important factor is your surgeon's experience—make sure your surgeon performs this procedure regularly prior to considering it. Moss JE and Habbu R. "Tendinopathies of the Hand and Wrist" J Am Acad Orthop Surg December 2015 vol. 23 no. 12 741-750.